A rare parrot and its passenger. What about the world’s truly ugly, endangered animals? Imagine an endangered animal species worthy of our attention and you might consider something like the nocturnal, moss-green, giant parrot known as the kakapo. A zoological oddity, found only in the forests of New Zealand, kakapo are both the world’s only flightless parrot species and the world’s heaviest. Compared to most parrots, kakapo live in the slow lane – possessing one of the slowest metabolic rates of any bird, living nearly a century, and only breeding every 2-5 years. Before humans arrived, there is evidence to suggest kakapo were one of the most common of all birds in New Zealand. The nocturnal airwaves would have heaved with the lustful, booming calls of males during the summer months. No longer. Maori first arrived in New Zealand around 700 years ago, followed by Europeans in the 18th and 19th centuries. Humans hunted the kakapo, cleared huge stretches of forest, and introduced mammals such as rats, cats, dogs, possums and stoats. Flightless and unafraid, kakapo were easy prey, their eggs and nests were undefended from thieves. Explorer Charlie Douglas wrote that in the late 19th century “[kakapo] could be caught in the moonlight… by shaking the tree or bush till they tumbled to the ground, something like shaking down apples”. However, by the 1980’s, the entire world population was found in just two isolated locations. A series of relocations transferred all that could be found to predator-free offshore islands. There were just over 60 of them. Today the population is increasing slowly thanks to a dedicated conservation effort, although they still number less than 150. The kakapo’s precarious existence along with its irregularity has made the species a conservation icon, and not just in New Zealand. Kakapo featured in their own episode of the BBC series ‘Last Chance to See’ (2009), and gained popular infamy after the male kakapo ‘Sirocco’ aggressively and energetically copulated with the head of famed zoologist, Mark Carwardine. A new list of the world’s most “evolutionary distinct and globally endangered” (or EDGE) bird species” gave kakapo fourth place. A popular Internet poll voting the ‘world’s ugliest animal’ (with the commendable goal of bringing attention to the conservation plights of some of the world’s more unconventional creatures), bizarrely ranked kakapo second place losing only to the vaguely human and pallid ‘blobfish’ of Australia. Perhaps the point was lost here. Although odd-looking, kakapo are certainly not ugly, these parrots possess more than sufficient charm to keep afloat in the public mindset. Meanwhile, a menagerie of other critically rare, but genuinely grotesque life forms sink from sight and thought. The truth is, some of the world’s most threatened animals are difficult to sympathise with. This is where the kakapo itself represents a twist in the story. In the late 19th century, the Austrian naturalist Andreas Reischek explored New Zealand, observing (and shooting) the still common kakapo. 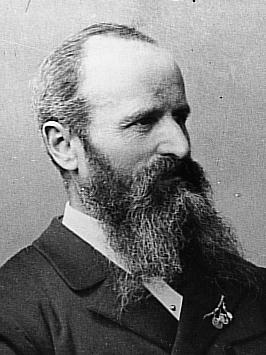 His subsequent essays include a rare observation: the birds were often infested with large, ‘milky-white’, tapeworms. In 1904, the unique tapeworm species, Stringopotaenia psittacea, was described from a single specimen taken from a kakapo (possibly one of Reischek’s), and has never been positively identified since. In recent years, two young captive kakapo ‘passed’ unidentified tapeworms; both birds were subsequently de-wormed. Typically with many parasite groups (including tapeworms) one species specialises to just a single host species. It seems probable that these observations represent the same creature, found nowhere else but the bowels of kakapo. 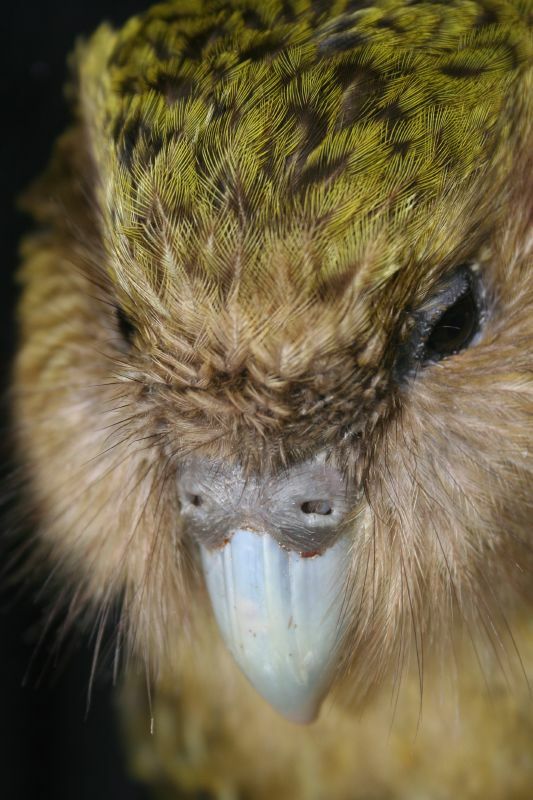 What is more, the described kakapo tapeworm, S. psittacea, is ascribed to the Anoplocephalidae, a family common in herbivorous mammals, and also unusually, parrots. Interestingly, the only other New Zealand Anoplocephalid tapeworm (Pulluterina nestoris) is known from another parrot, the kea. New Zealand’s large parrots (the kakapo, the kea, and a third known as the kaka) are now known to constitute the oldest lineage of all living parrots. There is good reason to suspect that the kakapo, through its long, lonely evolutionary history back to the common ancestor of all parrots has been quietly accompanied by at least one other lineage living within. Fossils of ancient parrots 50 million years old demonstrate that this was likely a very long time ago. If this inference is correct (and I suspect that it is), this tapeworm is just as “evolutionarily distinct and globally endangered” as the kakapo itself (if it still exists). Should, then, kakapo be de-wormed? The extinction of parasites may represent one of the largest forms of unidentified biodiversity loss that has occurred or is currently ongoing. It seems certain that entire miniature ecosystems have vanished along with the pelts of woolly rhinos or the intestines of Tyrannosaurus. But what about the world’s all too many endangered species? 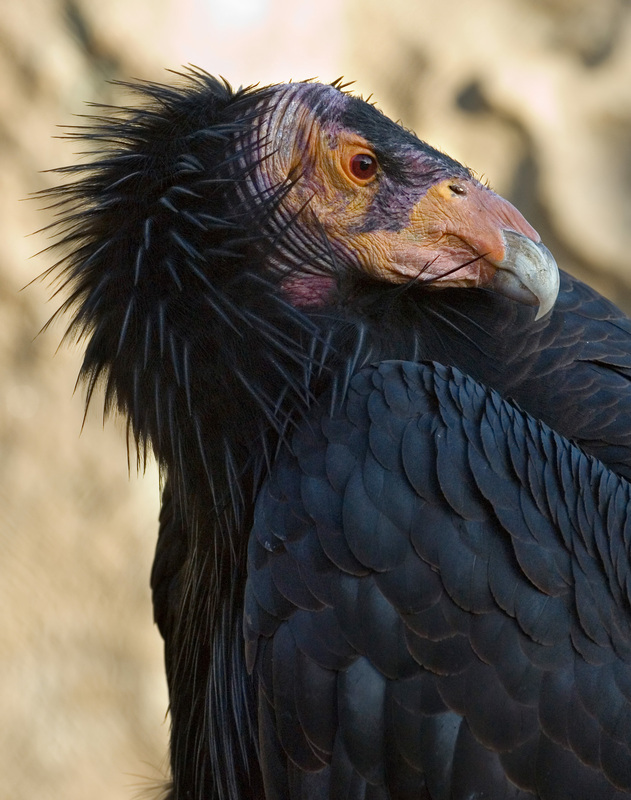 For example, while the California condor was saved from the brink of extinction, its own species of feather louse (Colpocephalum californici) perished forever. Animals such as the black robin, the northern elephant seal or even the Mangarahara cichlid fish of Madagascar represent the great conservation success stories, species that have recovered from handfuls of individuals. But perhaps many of their unique passengers were not so lucky. Even if the kakapo tapeworm survives, have other species with which it shared its feathery homes disappeared? Part of my research here at the Australian Centre for Ancient DNA hopes to answer the questions surrounding the kakapo’s parasitic passengers. Although long gone from much of New Zealand, kakapo have relinquished large numbers of parting gifts (some over 1,000 years old) if you know where to look. Prehistoric droppings (coprolites) may not represent the most glamorous of biological remains, but they are among the most informative. Comprehensive DNA analyses will allow us to open a window into kakapo from centuries in the past and reveal whether some of these passengers have vanished. This is the first time that an endangered species will be investigated in such a way, and in such detail. If we want to conserve or understand nature in all its forms, good, bad, and hideous, perhaps it’s worth acknowledging all the ways in which extinctions may occur. We may realise that a rare tapeworm is only part of a much bigger story. This entry was posted in Alex Boast, Conservation, Extinction on 7 May 2014 by Australian Centre for Ancient DNA. We have some tapeworm segments from Kakapo chicks. Any interest in them? The eggs are very distinctive and unlike typical avian tapeworms. Do you have any images of the eggs of Stringopotaenia? Enter your email address to follow ACAD and receive notifications of new posts by email. Or, see the "ACAD Online" tab for other ways to see and follow us. e-Science Magazine: A Useful resource for highschool students and teachers. Environment Institute: Where ideas grow. Areas of research include Climate Change, Biodiversity, Marine & Water and Monitoring Ecosystems. Writing Rules: lean from some of the experts at the New York Times. Looking for PhD Opportunities?. Then check out projects ACAD has on offer. The Australian Centre for Ancient DNA sits within the School of Biological Sciences at the University of Adelaide , South Australia. Content on this blog is subject to the Copyright and Privacy conditions as governed by the University of Adelaide. Please view links below. Disclaimer: The views and opinions posted on this blog are those of the individual and do not necessarily represent those of the University of Adelaide or the Australian Centre for Ancient DNA. The Australian Centre for Ancient DNA is not responsible for the content of external websites. We greatly acknowledge the Australian Research Council for its funding support towards our ongoing commitment to research in the sciences.